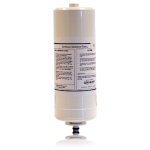 Alkapod Replacement Filter - The AlkaPod filter should be replaced every 6 months, or when quality and performance decreases due to the volume of water processed. 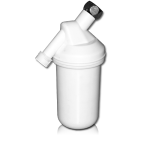 Squeeze Replacement Filter - The filter for the ēlita PhD Squeeze should be replaced every 100 gallons or 450 full bottles of usage. For all ionizer models except Vesta. 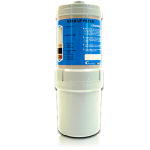 This new and improved BioStone Plus filter may be used in all .. Please Note: Not for use with Vesta or Venus ionizers. Scale Guard Inserts drop right into your ioni.. 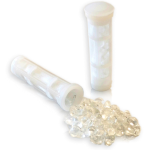 The EMCO BioStone filter for Vesta is for use in Vesta ionizers only. The GAC (granular activated ca.. This filter is used in the Vesta only. It is the filter in position #1 in your Vesta (it goes inside..
Sediment Filter: This filter is used in the Athena only. It is the filter in position #1 in your Ath..
For all ionizer models except Vesta. 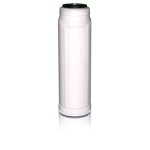 .01 Micron Ultra BioStone: This is an upgrade filter which can..
For all ionizer models except Vesta. 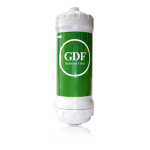 To make it possible to energize "pure" water (such as water pr..
Capacity: Up to 70 gallons The AlkaPod filter uses 13 types of minerals including Tourmaline, Zeo.. 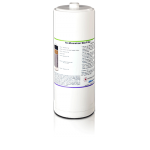 External Remineralizer Cartridge Capacity: Up to 1,000 gallons Designed for use outside of your wa.. 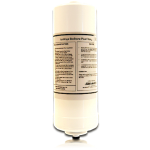 External Chlorine/Chloramines Reduction Cartridge Capacity: Up to 1,500 gallons Intended for use ou.. 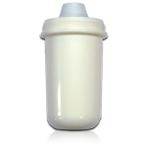 External Arsenic/Lead Reduction Cartridge Capacity: 4,500 mg (1,000 gal est. )Intended for use outs.. 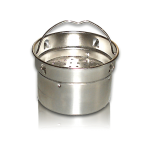 External Heavy Metal Reduction Cartridge Capacity: Up to 1,500 gallons Intended for use outside of.. 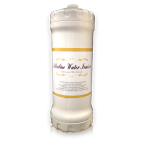 External Sulphur/Iron Reduction CartridgeIntended for use outside of your water ionizer machine.Hydr..